PDF AutoSigner is used to create an in-line digital signature on PDF documents. Installation is easy and user-friendly. Digitally signed documents are valid in court-of-law. Why physically sign when digitally signed documents have same legal validity. Signing using a digital certificate on USB Token, of any brand, for SME users and Hardware Security Module (HSM) comparetable for enterprise customers bulk highspeed signing needs. Creates a seperate folder with signed documents ready to email. Easy to install and scalable for enterprise solution. In many business environments a very convenient way of processing files of data is to use a watched folder approach. In such a scenario on application places output files in a given folder and another then picks these up and processes them. 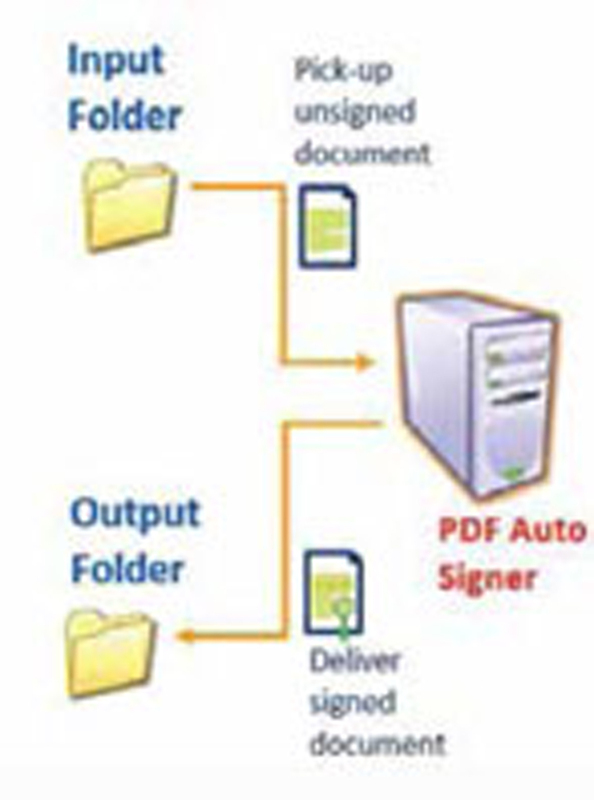 The PDF AutoSigner from Adwebtech, is a flexible Windows application that implements such a watched folder strategy. PDF AutoSigner has been designed to provide intelligent watched folder automatic monitoring of one or more Windows folders to process batches of documents in an unattended environment. It does this by monitoring a set of input locations for documents. Any document found in a defined input location is selected for processing using the operator defined Signing profile. The main use of PDF AutoSigner from Adwebtech, is for bulk signing of documents, particularly PDF invoices and other documents. PDF AutoSigner creates digital signatures based on the signing profile. This pre-defined profile determines the type of signature to be produced. The signed documents are stored to an output folder, or if a problem is detected, an issues folder. PDF Auto Signer provides one of the simplest ways to utilize the power of the Digitally Signing within various organizations and can be easily inserted into a workflow system without any system integration or development expense. Multiple watched folders profiles can be managed, each defines a set of input, output and error folders and the signing policy to be used. Supports most crypto Tokens using pkcs11 interface. Does not require any professional services to implement the solution. 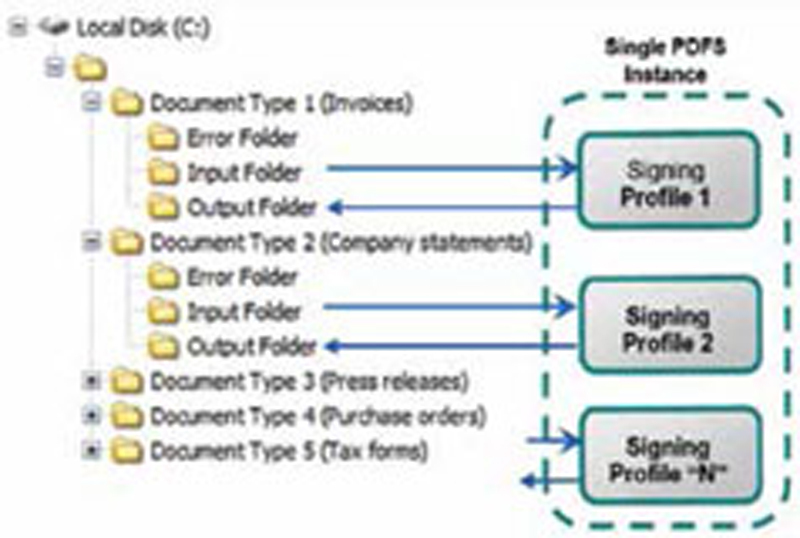 The diagram illustrates multiple signing profiles processing various document types located in different input folders. The documents are then signed using unique signing profiles and the resultant file deposited in the appropriate output folder.